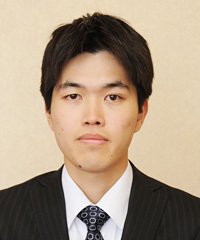 Anzai Nobuaki (安斎　伸彰) is a Japanese 7 dan professional, pupil of So Kofuku 9 dan, born 1985-08-19. Anzai earned promotion to 1 dan in 2003, 2 dan in 2004-12-23 (30 wins as 1 dan), 3 dan in 2006, 4 dan in 2007, 5 dan in 2008 and 6 dan in 2009 and 7 dan in 2014 (always on the basis of the prizes won). Member in 2008 of the 47th Judan and of 35th Tengen. Qualified for the 23rd Fujitsu Cup. Winner in 2011 and in 2012 of the Okage tournament (runner-up in 2013). In 2013 he gained a place in the Japanese Team in the 15th Nongshim Cup, beating Uchida Shuhei in a playoff.